With some harsh winter weather heading our way its very likely that there will be disruption for commuters trying to get in to work. In an age of global warming, many recent British winters have been very mild, but not all. The winter of 2010-11, for instance, was exceptionally cold by UK standards. Last winter, much of the period was fairly mild, only for March to bring extreme conditions as the ‘Beast from the East’ struck, bringing snow and sub-zero temperatures at a time when warmer days and sprouting daffodils would normally be expected. Indeed, some believe that a key feature of climate change is that the weather is simply getting more volatile, which means it can be unusually hot, cold, dry, wet or windy at any time. Given all this, businesses need to be prepared for potential disruption. This can take two forms. One of them is severe weather that stops staff getting to the office, while the other is when business continuity itself is disrupted, such as the office being affected by power outages. For some businesses, home working is a viable option and may be encouraged during winter. Many people will be happy to take up this option anyway, as it will save them a commute when it is cold and dark. It will also be particularly useful when the weather makes it either dangerous or just difficult to get to the office. Provided they can carry out their normal work functions even if they are snowed in, this is a viable alternative. If someone would normally have to be physically present, it may be wise to make contingency plans. This could involve redeploying the people who are present to carry out tasks they might not normally do. In practical terms, there will usually be some people who are more able to get into an office than others when bad weather strikes. For instance, if you are based in a city centre, you may have some staff living in apartments a short walk away, while others might live miles out of town and be more vulnerable. It is worth remembering that the urban heat effect applies; cities will be warmer than the surrounding countryside due to the extra warmth generated by buildings and vehicles. Physical disruption to an office may similarly depend on its location. A city centre site is generally not likely to be snowed in and such an area will tend to have better flood defences. However, in a small town or in the suburbs, not to mention a riverside location, the risk may be greater. Indeed, if your premises are in a high-risk area for flooding you need contingency plans at any time of the year. Key issues include being able to make sure crucial equipment and paperwork can be moved or stored in a safe place, as well as being able to switch to remote working where possible. Ideally, if there are other premises you can work from – for instance, if your company has more than one office in a town – it would make sense to use any spare space available to move there. 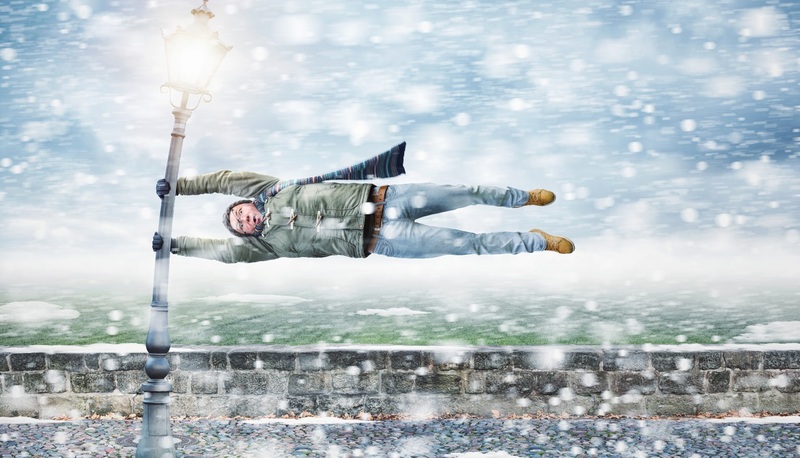 None of this will make weather-related disruption easy to cope with, but it will enable you to keep working even when meteorological conditions are unfavourable.